LOS ANGELES: In its most strategically significant push yet into the hardware business, Microsoft on Monday unveiled a tablet computer called Surface that is intended to challenge Apple's iPad. At an event here, the company showed off the device, which is about the same weight and thickness as an iPad, with a 10.6-inch screen. The tablet has a built-in "kickstand" that will allow users to prop it up for watching movies, and a thin detachable cover that will serve double duty as a keyboard. The Surface tablet runs a variation of Windows 8, a forthcoming version of Microsoft's flagship operating system that is due out in the fall. Steve Ballmer, Microsoft's chief executive, said the product was part of a longstanding tradition at Microsoft to create hardware, like computer mice, that show off innovations in its software. "We want to give Windows 8 its own companion hardware innovations," Ballmer said. Microsoft executives, however, were largely mum on how Surface would affect the company's relationships with PC makers, the hardware companies that are the vehicles for sales of Windows software. With its new tablet, Microsoft will effectively be competing directly with its biggest customers. When asked whether Surface would damage those ties, Steven Sinofsky, president of Microsoft's Windows division, gently pushed a reporter in the direction of a stand of Surface tablets and said, "Go learn something." Analysts said it wasn't clear that Microsoft could depend on PC companies to build something as compelling as the iPad. "This was clearly a referendum on Microsoft's partners," said Michael Gartenberg, an analyst at Gartner, a technology research firm. "Microsoft felt they could not rely on others to deliver on their vision for Windows 8 in mobile computing." Microsoft's decision to create its own tablet was an acknowledgment that the company needed to depart from its regular way of doing business to get a grip on a threat to its dominance in computing. While it has made a few hardware products over the years, including the Xbox video game console, Zune music player and computer keyboards, Microsoft is still thought of largely as a software company. In the computer business, it has for decades left the work of creating the machines that run Windows to Hewlett-Packard, Dell and others. But the response to Apple's iPad has considerably raised consumers' expectations of how well hardware and software work together. That has put pressure on Microsoft to create a tighter marriage of hardware and software if it is to compete seriously with Apple's products. As it prepares to release Windows 8, which is designed for touch-screen devices, Microsoft can ill afford a flop. The iPad already has eaten into sales of low-end Windows laptops, and there are growing signs that Apple's tablet is becoming increasingly attractive to business customers, a lucrative market Microsoft has dominated for years. A director of a children's breakfast club stole 6,000 and spent the money on wine and paying for meals out for herself, a court heard. Mother-of-four Michela Golden, 31, took the funds from a not-for-profit childcare company to buy alcohol, clothes, fuel and pay for food. The cash, which was stolen over the course of a year, had been given by parents to pay for children's clubs in Rossendale, Lancashire. When questioned, Golden denied she had taken the money and instead said the founder of Kids@Play Child Care must be responsible, Burnley Crown Court heard. The company, which ran before and after school sessions, was forced to close after the thefts which happened and eight members of staff lost their jobs. Golden, who admitted two counts of theft, escaped jail and was given a 10 month suspended sentence when she appeared before the court. Kids@Play was set-up in 2008 to provide childcare outside school hours and had initially received funding grants from bodies such as Sure Start. Nicholas Courtney, prosecuting, said the thefts started in July 2009 and went on for a year. 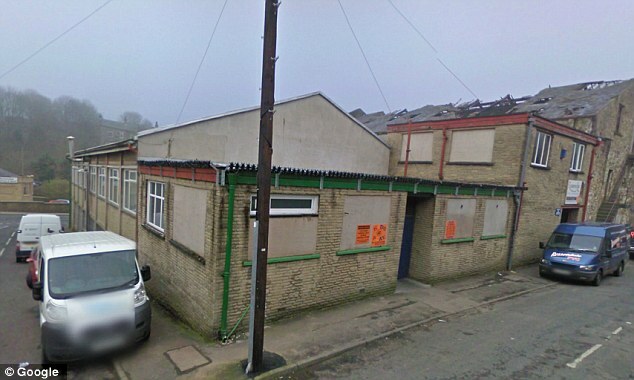 Golden took control of the company's finances at her own suggestion after they opened a second site in Newchurch, near Rossendale in September 2009. She was issued with a company bank card so she could make purchases on their behalf. But Lindsey Foster, the company's founder, noticed a series of unusual transactions when she looked at the bank statements in April 2010. She also noticed that some of the money parents had given never turned up in their account. A full audit was carried out before Golden was arrested and suspended. When police searched her home in June last year they found paperwork which said the mother had several thousands of pounds in debts and her mortgage and council tax was in arrears. Mr Courtney said that Golden, from Bacup, Lancashire, blamed the company's founder for the missing money. He said: 'She suggested Lindsey Foster may be responsible for missing funds, saying she seemed to be living an extravagant lifestyle at the time. In mitigation Bob Elias, defending, said the defendant's marriage had failed. Sentencing, Judge Jonathan Gibson said: 'This was, of course, mean offending. I accept it was to fund household expenditure, at least to a significant extent and it’s right to say there was evidence, when police came to investigate you, of a significant quantity of debt. The judge gave her a suspended sentence and ordered her to carry out 150 hours unpaid work. She was also given a 12 month supervision order.